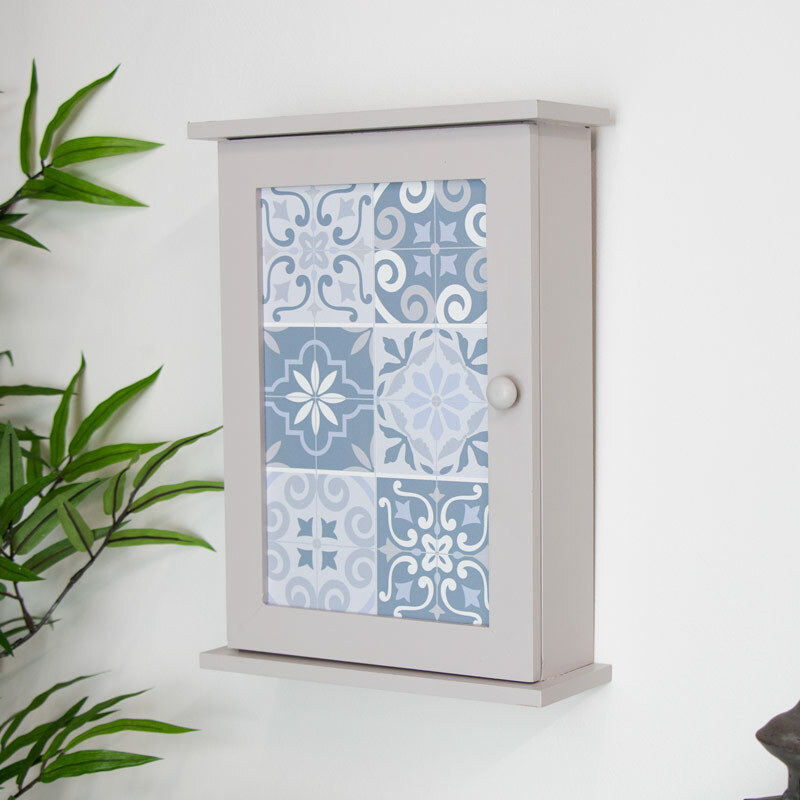 Made from wood, painted in a grey finish with blue and white tiled effect front. 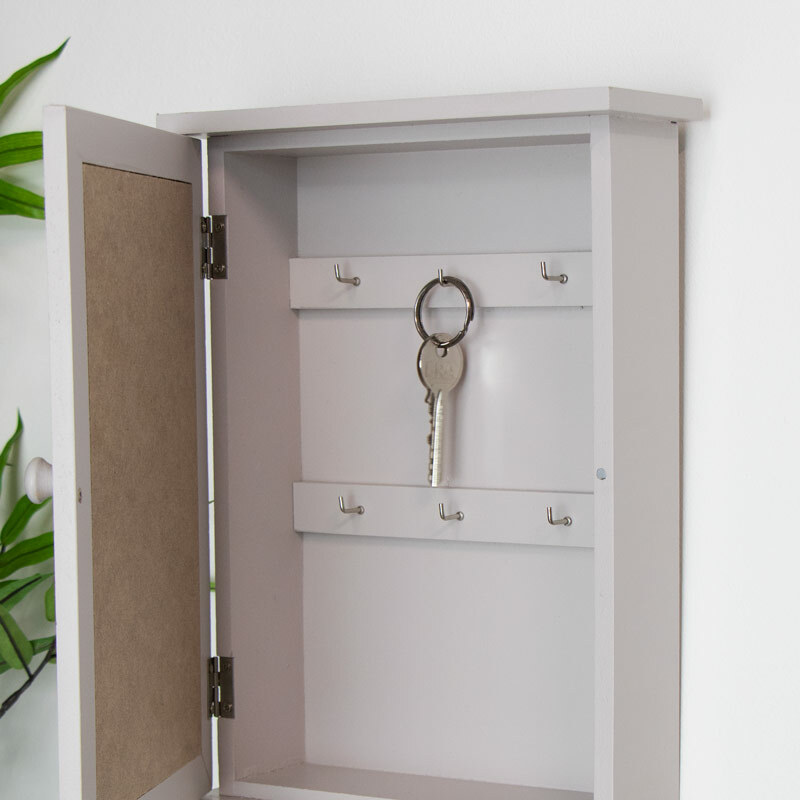 The door features magnetic closing. 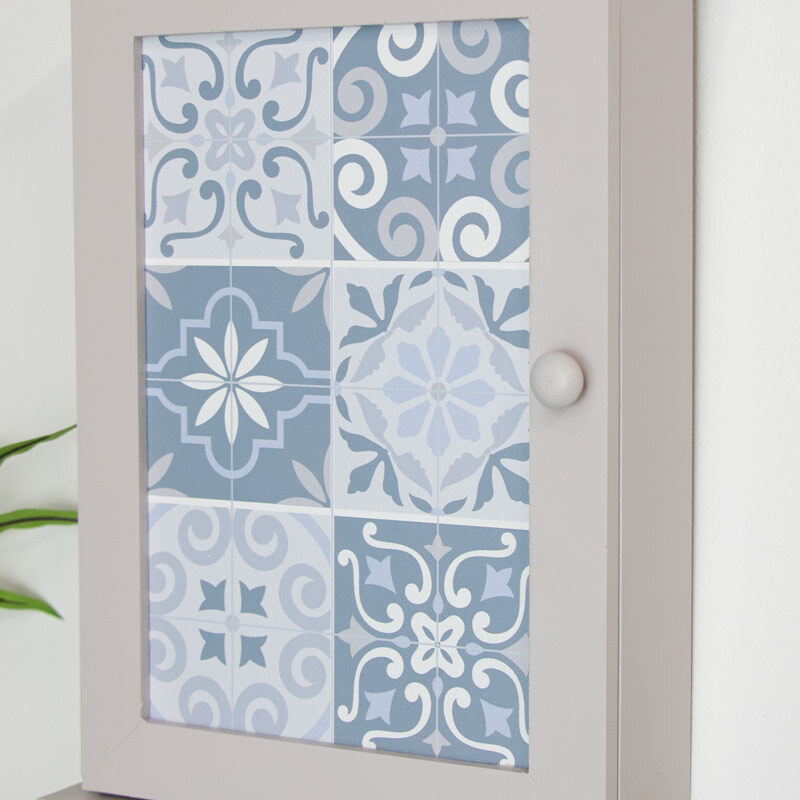 Can be used freestanding or wall mounted with hooks on the back for hanging. We have a fantastic selection of gifts and accessories for you to choose from.